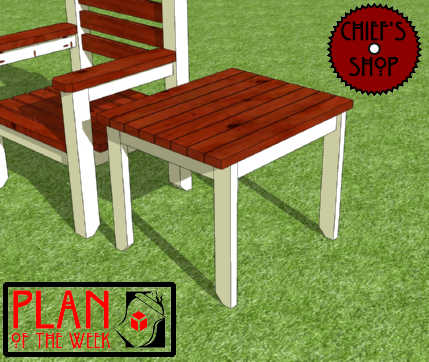 A companion project to go with the Garden Throne. 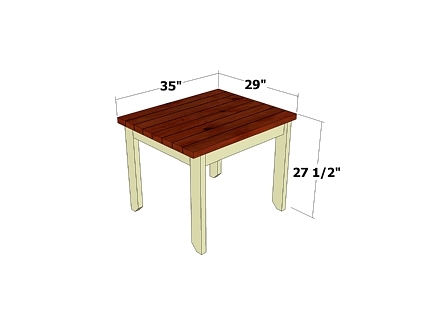 This outdoor side table could also work as a standalone piece on a deck or patio. 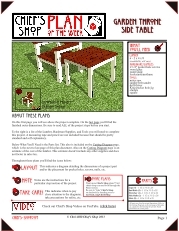 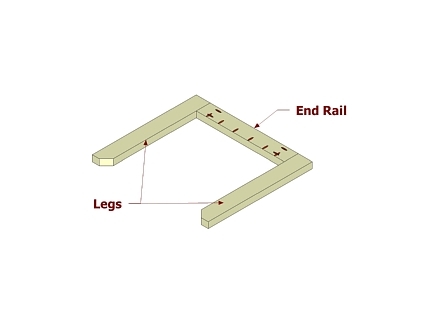 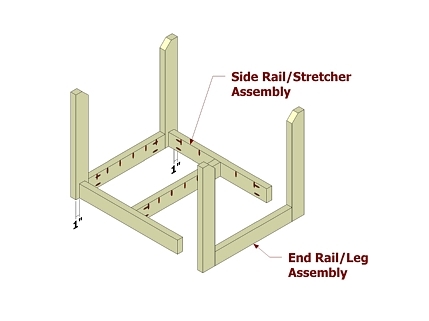 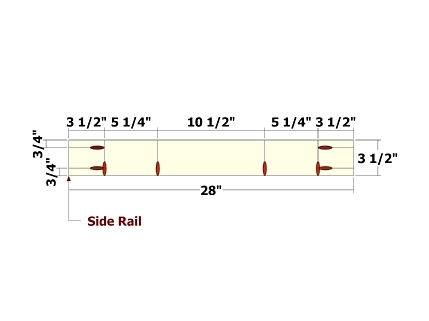 Use the layouts for creating the Legs and End Rails. 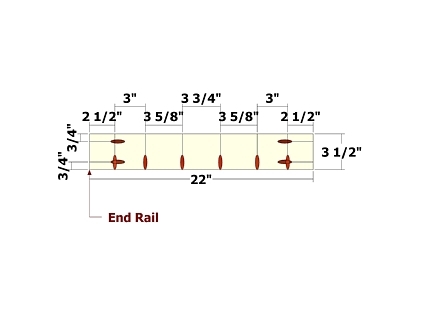 Set your Kreg Jig and drill bit for 1 1/2" stock for the pocket holes on the End Rails. 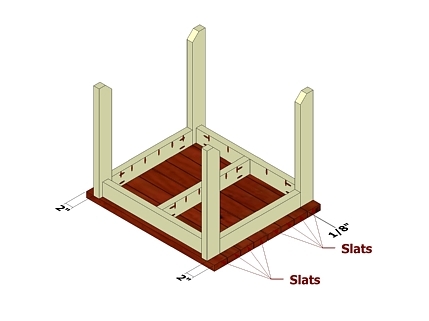 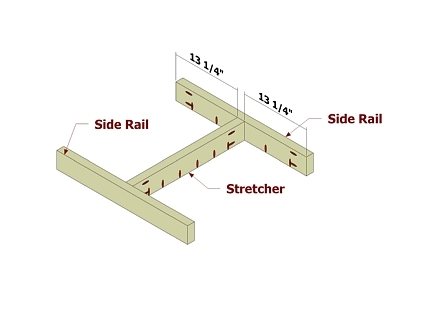 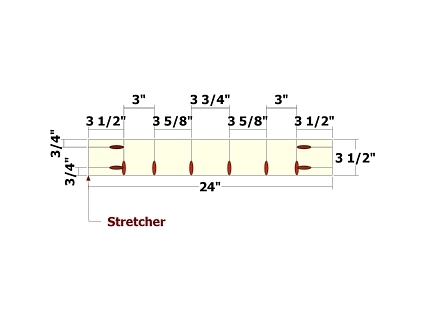 Use the layouts for creating the Stretcher and Side Rails. 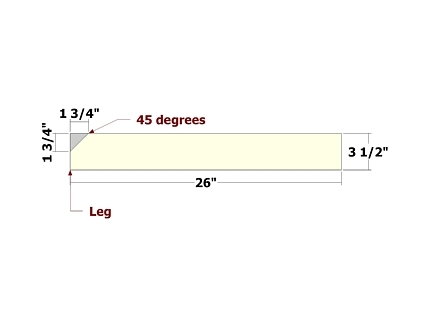 Set your Kreg Jig and drill bit for 1 1/2" stock for the pocket holes on both parts.